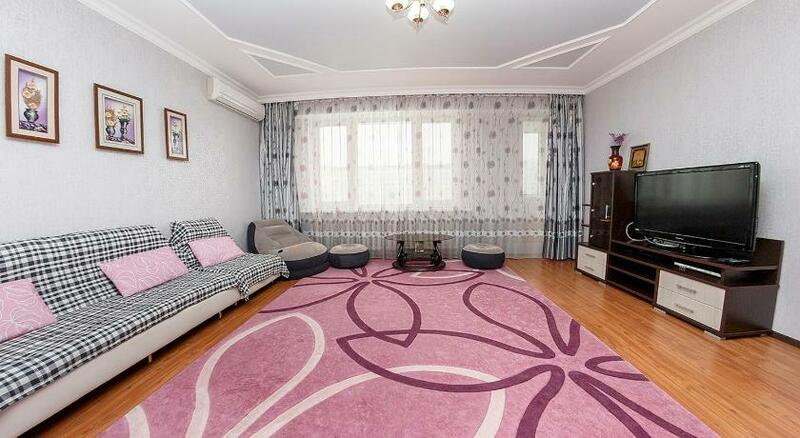 Set in Astana, this air-conditioned apartment features free WiFi and a balcony. The unit is 500 metres from Bayterek Monument. The kitchen comes with a dishwasher and an oven and there is a private bathroom with slippers and free toiletries. Towels and bed linen are provided in this self-catering accommodation. Expo 2017 Astana is 4.4 km from Zhk Nursaya Astana, while Nurzhol Boulevard is 100 metres away. Astana International Airport is 12 km from the property.